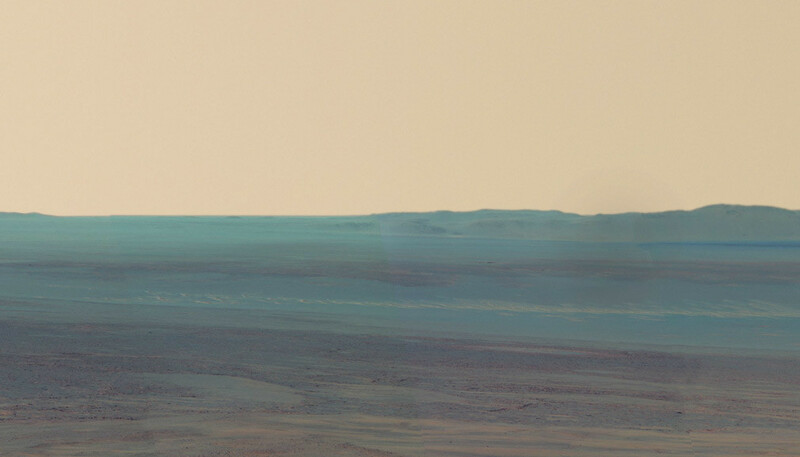 A 360 degree panorama of the eerie false-colour landscape assembled from 817 images taken by the Mars rover 'Opportunity' between Dec. 21, 2011, and May 8, 2012. 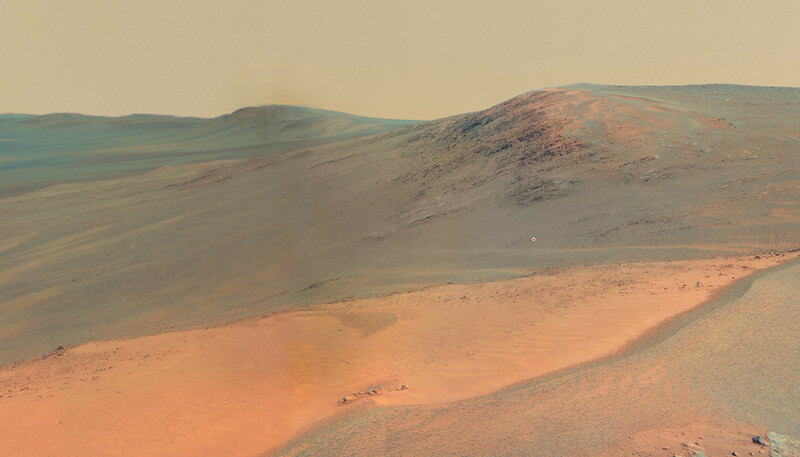 According to the NASA website: the photo shows the terrain that surrounded the rover while it was stationary for four months of work during its most recent Martian winter. 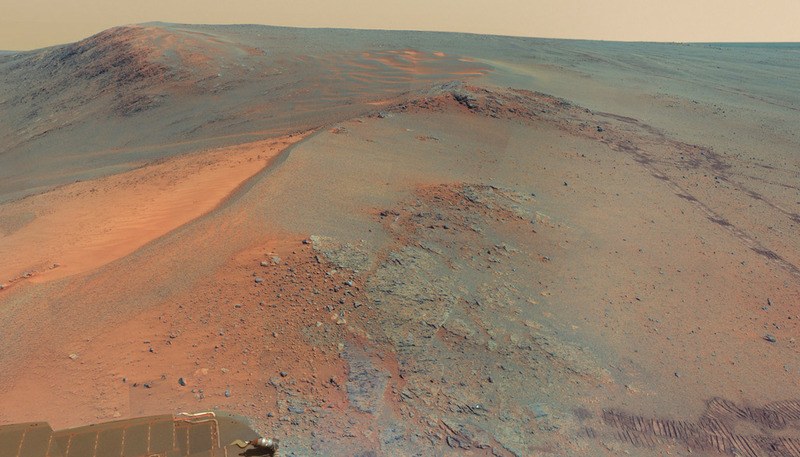 Image Credit: NASA/JPL-Caltech/Cornell/Arizona State Univ. 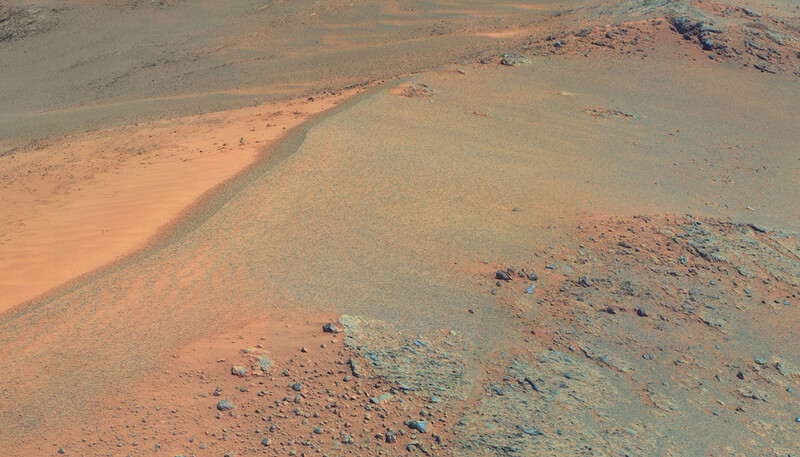 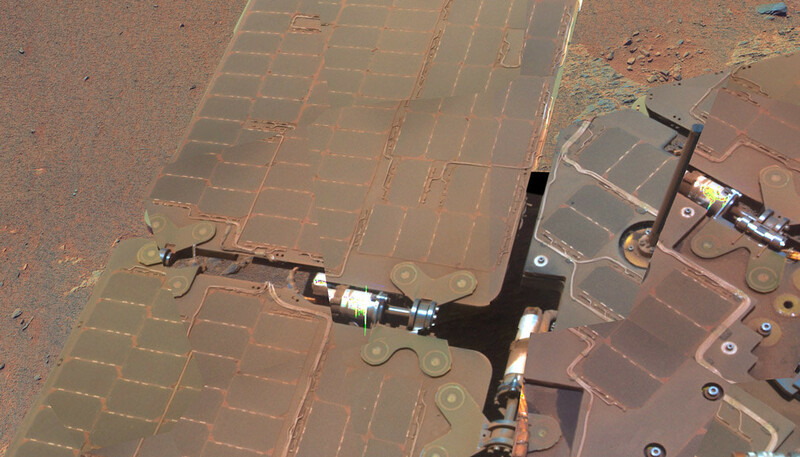 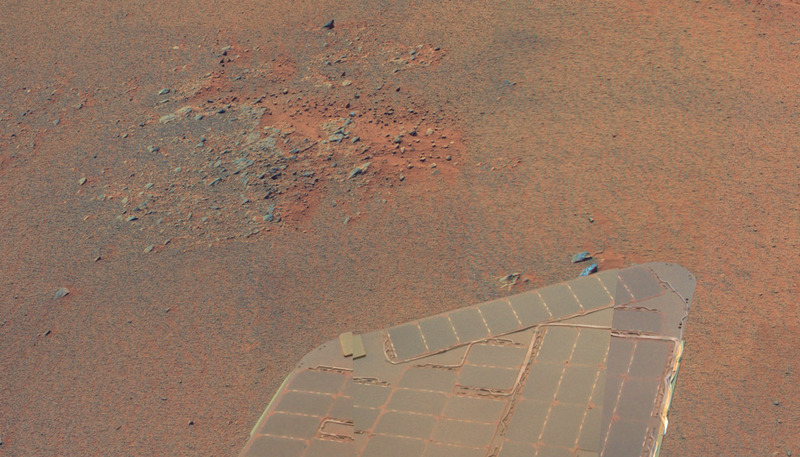 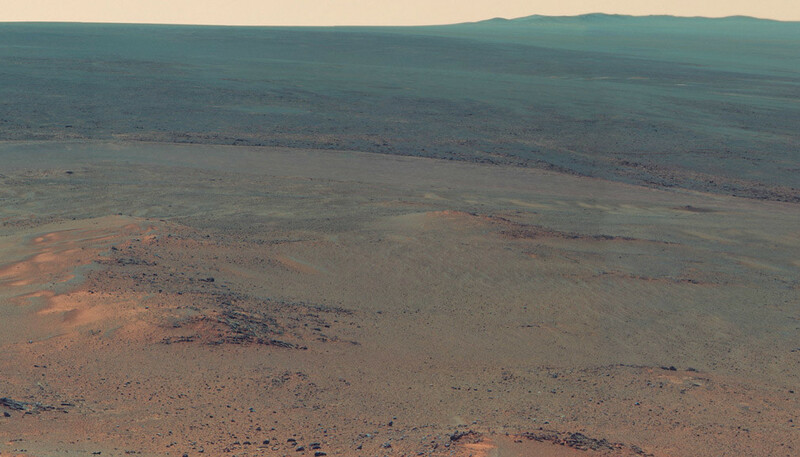 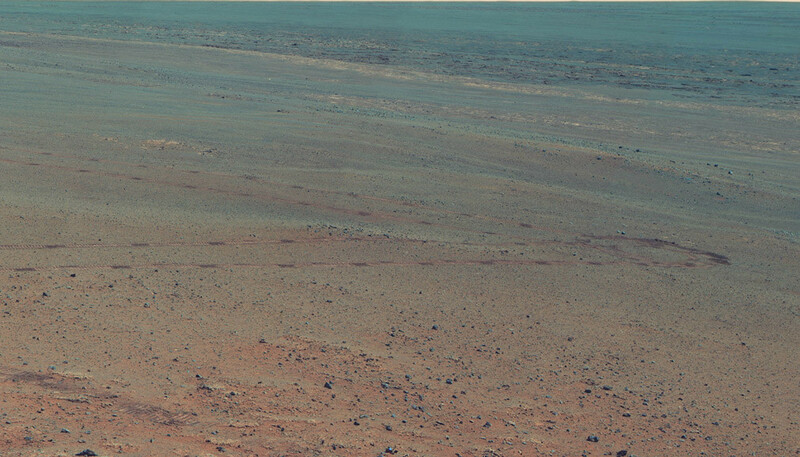 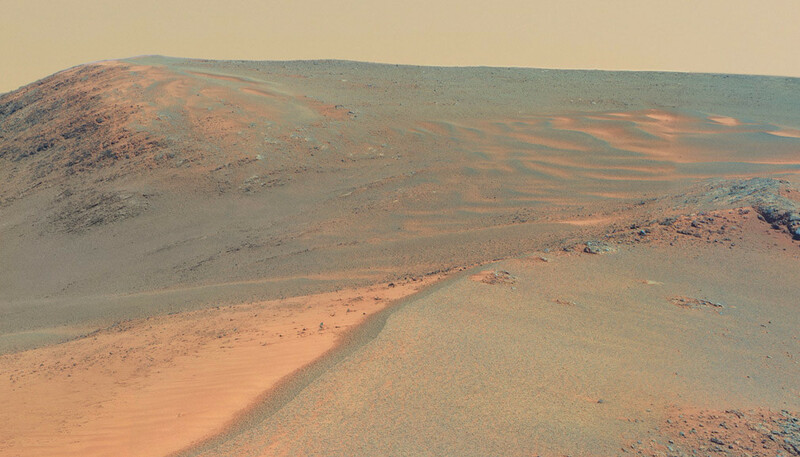 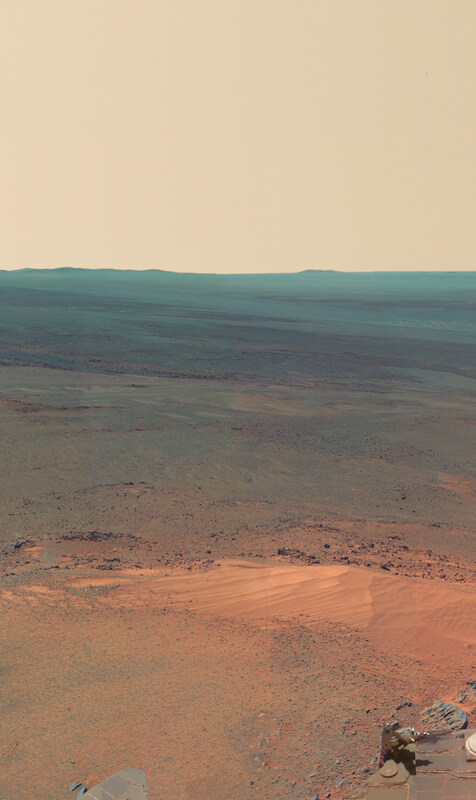 The release of this image (July 2012) coincides with Opportunity completing its 3,000th Martian day on July 2, and NASA continuing past 15 years of robotic presence at Mars.